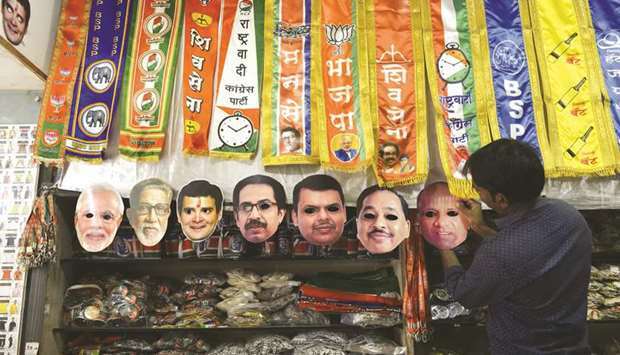 A trader puts up face masks of political leaders at a shop in Mumbai yesterday. India will hold a general election over nearly six weeks starting on April 11, when hundreds of millions of voters will cast ballots in the world’s biggest democracy. 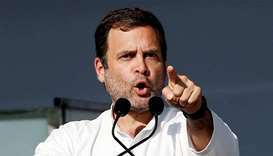 The main opposition Congress Party switched its campaign focus back to economic and social issues such as jobs yesterday as pollsters said Prime Minister Narendra Modi’s re-election bid has been boosted by hostilities with Pakistan. “How will the youth get jobs? How will women feel safer, and move forward? What will be done for farmers?,” Priyanka Gandhi Vadra said in her first speech since joining the party as a general secretary earlier this year. 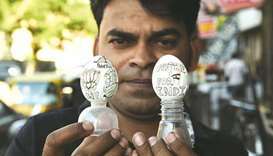 Her brother, Congress chief Rahul Gandhi, called unemployment the most important issue in the general election, which starts on April 11. 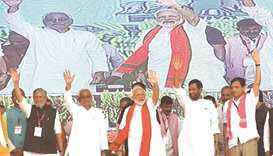 Thousands of party supporters clapped and cheered as the siblings spoke at a rally in Gandhinagar, the capital of Modi’s home state, Gujarat. 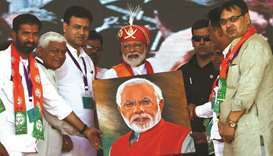 Pollsters have said Modi’s ruling Bharatiya Janata Party (BJP) has an early advantage after India’s armed forces clashed with those of Pakistan last month. 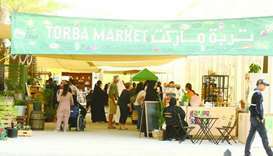 Before then, the prime minister had been under pressure over unemployment and rising problems for farmers. India’s unemployment rate shot up to 7.2% in February, the highest since September 2016, according to the Centre for Monitoring Indian Economy. The BJP lost power in three states late last year. 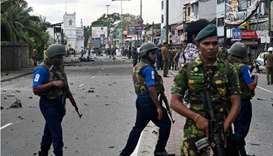 The jobs numbers took a back seat after a February 14 suicide car bomb that killed 44 security personnel in Jammu and Kashmir and that was claimed by Pakistan-based Jaish-e-Mohamed militant group. In response, India said its warplanes bombed a militant camp inside Pakistan, which responded the next day with an aerial attack of its own. Amid doubts about the success of the Indian strike, opposition parties including Congress said earlier this month they would launch a united attack on Modi for what they called his politicisation of the armed forces since the confrontation with Pakistan. 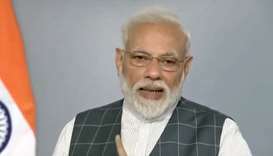 Pollsters had said questioning Modi on national security rather than focusing on everyday issues could backfire on the prime minister’s opponents. BJP leaders have said the government’s economic record and the tough stance on Pakistan will help it retain power. The Congress Working Committee meeting in Gandhinagar resolved to defeat the “RSS and BJP’s ideology of fascism, hatred, anger and divisiveness”. The meeting of the party’s highest decision-making body was attended by top party leaders including Rahul Gandhi, United Progressive Alliance chairperson Sonia Gandhi, former prime minister Manmohan Singh and Priyanka among others. “The Congress Working Committee in Ahmedabad, resolved to defeat the RSS, BJP ideology of fascism, hatred, anger and divisiveness. No sacrifice is too great in this endeavour, no effort too little, this battle will be won,” said Rahul Gandhi. The Congress said the five years of the BJP government has been a period of false promises and betrayal of people’s trust and confidence. “This government has been a failure on all fronts and has inflicted pain and misery on the people through its reckless decisions of demonetisation and hasty imposition of a flawed GST,” the resolution said. It said demonetisation and GST disrupted the economy, trade and industry, led to closure of hundreds of thousands of factories and tens of millions of workers lost their jobs and livelihood. “The unprecedented joblessness, agrarian crisis and distress of farmers and agricultural labourers are issues of grave national concern. 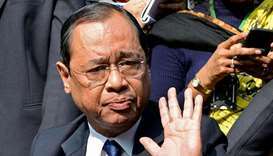 The Modi government is guilty of monumental mismanagement of the Indian economy,” the party said.